That's me in the oh-so-attractive Crystal Palace seater costume. 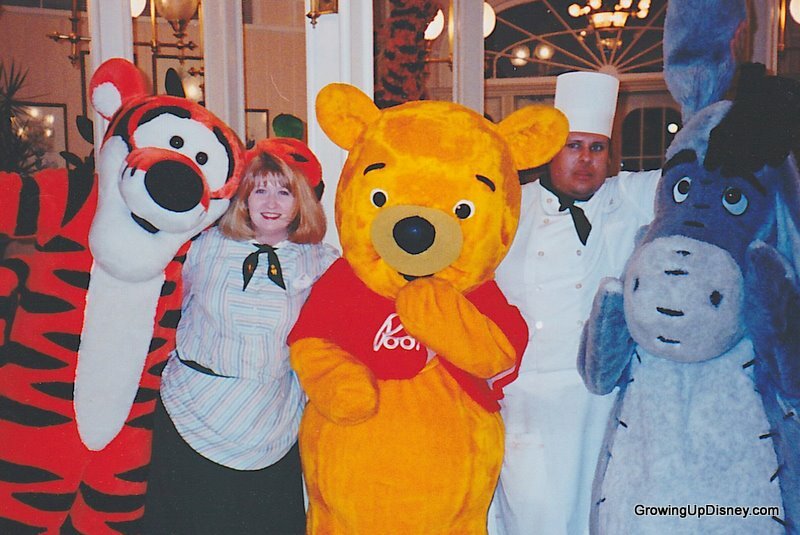 I participated in the Disney College Program during the fall of 1997. It was a great experience. I got to watch the parades and fireworks almost every night of my 5 shifts a week. As a huge Winnie the Pooh fan, I adored working with the Hundred-Acre Wood crew. The Main Street background music always reminds me of my CP days.